Check out my “Summary of Learning” for this class! It’s been an absolute pleasure working with everyone this semester. Thank you for taking the time to comment on my posts, interact with me on Twitter and Slack and share your expertise and ideas in class. I hope our paths cross again in the future! Welcome to the Wrap Up Show! Well, I wish I could say that blended learning, preparing for blended learning and ensuring that students are getting the most out of blended learning could be packaged up neat and tidy like the present in the featured image… but let’s be real…NOT! I have enjoyed this course so much as it’s opened my eyes to not only the trials and tribulations of online learning and content, but the immense success that you can have too! I’ve had both personally even in the short span of this class. Throughout last class we spoke in small groups about some of the issues that could potentially come when up teaching and learning online, the first we spoke about accessibility. For me, I would argue that this would be the biggest hold up when making a pro technology and blended learning case. It appears that there will always be a digital divide, there will always be communities that are held back on account of connectivity and there will always be countries in the world that will continue to be developing and not have access to the same resources. I don’t think the goal of this course is to come up with and solve these problems necessarily, but to have discussions around inequality and adapting for it. I think it’s important to make sure we remember that there is absolutely a digital divide in our own city and in our schools and it’s part of our responsibility as educators to do as much for kids while we have them. For Joe and I’s online science content, even though I am in what would be considered an affluent school in a fairly affluent area of our city, I still have kids that cannot, or don’t have access online from home. Joe and I decided that if we were going to try this unit in my room, we would have to offer another opportunity for kids to access the content and try the assignments from school. It’s not fair to make assumptions about what families can and cannot do from home or almost more importantly at the age of the kids I teach, what families are and are not willing to do from home. Instead of deciding not even to try on account of these challenges, we have provided time for kids to try all of the assignments, even those labelled, “try at home”, at school. This way no one is missing out and if children had tried it at home, there was always something else for them to work on, or I have had them play around with Google Read & Write or our slideshow assignments for extra practice. Another topic we discussed was how we can adapt in the classroom to accommodate for families who for religious, cultural or other reasons do not want their children to participate in technology. We sort of decided that at a higher level education it would be unlikely that a student whose religion or culture opposed technology I would also be confident to say that in adult education, if you were not comfortable putting yourself out there in the digital world, you would also steer clear of classes that would put you in a position to do so – therefore, you wouldn’t require accommodation. HOWEVER, I think this is an issue in many elementary and high schools as classrooms continue to become more and more diverse, cultural needs require considerations and some families are more conscious of their child’s digital footprint and therefore are not interested in the use of social media or technology in the classroom. I think it’s important to recognize these issues and have alternative methods to adapt for those children the same way we would adapt for reading level. You could simply have the assignment that the rest of the kids are completing online, available in a paper copy for students who can’t use the computers – for example, students are replying to a forum prompt? Have the prompt available on the board and the student replying in a journal. Need peer input? Partner the kids up and have them respond to a partner including your student writing in the journal, or just ensure that if you are not specifically partnering kids, that your student with the journal is included by putting their work forward and perhaps having printed copies of other students work available. I had many “take-aways” from this course overall as I had never dabbled in creating content online, regardless of how tech-savy I felt. 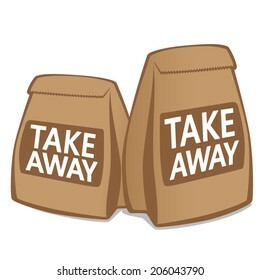 My first take away was JUST TRY IT! My biggest hold up is always the initial step into something new because it takes time and I always seem to be short on it. I never considered online content because I didn’t know anything about platforms that would be conducive to creating content that would be relevant to the grade level I teach. The next take away would be, be mindful of instruction and assessment. When Joe and I did our module, some of the thoughtful feedback that Kristina gave us, had to do with our assessments and it really got us thinking about how we could incorporate not only a sufficient amount of opportunities, but also a variety of assessments to suit different students needs. We went back through and revamped this section of our course and I found it really meaningful. We finished our course content feeling great about the experiences that we were giving our class and we felt confident that those experiences and the way we chose to assess them would give us a good snap shot of where that child is at in turns of their “matter” knowledge. If you’re interested in learning more about the types of assessment we’re using, please check out our course walk through. My favourite physical take away this term is learning Ed Puzzle! It is an online video editor that allows you to crop, edit, manipulate and watch videos. It’s simple: find a video in their database, or find one yourself, select it and save it to your content! From that point you can crop it to the length and add either voice-over options, a “check this out/did you notice ” voice note or, my personal favourite, you can add trivia questions that will pop up as the kids watch the video. This makes them accountable and engaged in the content they’re watching not to mention, it saves the data for me so I can see each child’s answers! Can you say simple, clean assessment? Ed Puzzle is also perfect for students in the Regina Public School Division because all you need is a gmail account which all RPS students already have and then just the class code. Easy, peasy! It’s so hard to believe that we are reaching the end of the semester already! I’ve had successes and less than successes in the creation of my online course content, but overall I am so excited with how it turned out. We learned lessons (often the hard way) and I am so appreciative of the feedback I received throughout. I have actually used one of them in particular, Edpuzzle.com and I LOVE it! I never would have explored this cool option had it not been for this unique assignment of analyzing each other’s work. It has changed the path of Joe and I’s unit for the best. Joe and I have carefully curated modules to suit the needs of my grade 2/3 class and they are having a blast working through the course! Sloooowly but surely we are plugging away on all the assignments and the feedback I have received has been wonderful! The kids are loving the independence and the exciting new way to learn. So, what are they learning you might be wondering? If you haven’t been following along on my blog you can check out the whole course profile HERE but I’m also going to include a Cole’s Notes version below! If you would like to check out the course in it’s full form and have a Regina Public School email address, have at it HERE by using the code in the photo to the left! If you do not have an RPS email, please email me at danielle.hackel@rbe.sk.ca and I can set you up with the information you would need to peek it. Students begin by learning the fundamentals of Google Classroom, the platform we chose. Students learned about Google Read & Write, Google slides and how to take a photo and copy it into a slide. They practiced typing and even learned how to take a photo and paste in into a slideshow. Students then move into our first module that focuses on building basic knowledge of Matter – what it is, the states, and some properties of each. This module also allows students to try some parts from home with their families, work with partner in the class as well as work independently. We used many different kinds of learning platforms in this module including Kahoot, Edpuzzle, Youtube and Google Slides. Next up is our most hands on module – the experiment section! In this unit children will view and complete matter experiments with the help of Joe’s grade 5 students. Students will work at home on the projects and then get the chance to respond on the classroom Facebook. We will also do a couple of these at school for students who cannot complete them at home. We will do a more formal lab write up for these at school so we can practice that as well. They finish this section with a super fun assignment to make their own textbook and practice the properties of matter as well as using the copy and paste function they used in an earlier unit. Again, we tried to make each unit unique, therefore allowing for each student to have a chance to shine! To finish the unit we are exploring both properties, changing states of matter as well as doing a review to gain knowledge before our unit ends. Kids will take part in an egg drop challenge that spans both home and school testing how to keep a solid a solid and what properties a liquid has that we would see if the egg’s solid shell cracks open. To conclude, students will watch a short video and then participate in a final quiz using google forms to ask and store answers. Again, we are utilizing many different platforms to try and give each student an opportunity to feel successful. This course was a blast to make and it has been so cool to watch the kids work through it! Joe and I were talking about how interesting it is that kids have been trying assignments from home that we hadn’t formally introduced because they are logging in from home and working through it. I know this wouldn’t or couldn’t happen at every school, but it’s been amazing to see here. Now, don’ t get me wrong, it hasn’t been all sunshine and rainbows either…there were some trials and tribulations as well as these successes that I outline in my blog post, “Google Classroom…in my classroom” if you want to check it out! I wrote this post and then Kristina reviewed our modules and made some suggestions that changed the profile for me! I was introduced to tools that I had never worked with and really appreciated the feedback. A fresh set of eyes is truly a gift! If you want to check out the response to the feedback and see any changes I made, just click HERE! Thank you so much for taking the time to follow along with me on this journey, if you’re interested in a quick spin through this course, please take a few minutes and watch the link below – it will give you a look at the main features of this course and some of my favourite parts! Joe and I are really proud of it and hope you enjoy it too! So I am going to organize this blog post into 2 eras, the B.A period (before Alec) and A.A period (after Alec)! I will say that my technological life has changed since taking Alec’s digital literacy courses and my mind has been opened to the possibilities of integrating technology into a classroom of kids at any age. clear guidelines on student online behaviour, such as written codes of conduct for participating in discussions, and ensuring that they are enforced; More or less, have I provided my class (regardless of age) a list of rules for online behaviour, and do they understand that if they are broken, their privilege is taken away. regular, ongoing instructor ‘presence’,such as monitoring the discussions to prevent them getting off topic or too personal, and providing encouragement for those that are making real contributions to the discussion, heading off those that are trying to hog or dominate the discussions, and tracking those not participating, and helping them to participate; This one is very important to me – I think the role of the teacher, even in an online setting is invaluable. The teacher, although we are no longer the keeper of knowledge, we are the facilitators to make sure that there is as much equality and support online as there might be off. defining clearly learner roles and expectations, such as ‘you should log in at least once a week to each discussion topic and make at least one substantive contribution to each topic each week’; Expectations are crucial no matter how old or young the kids or adults you’re working with are. Everyone wants to know when something is due, what is being assessed, what is being looked for, etc. We owe it to the people learning from us to provide support in these areas…in particular if you want the work that’s turned in, to be turned in properly! I’ll include the SAMR model image again because I think it’s incredibly important to understand how the choices we make impact our children and their learning. I will admit, as I dive into the BA period, I was using technology, because I understood, at the root that technology was beneficial and the way the world was moving, but I think I was at the substitution stage. I would grab a computer cart and have the kids practice typing or play a math – good practice? Yes. Fun? Probably. Groundbreaking or change making? No. I think the thing I’m most proud of that I was integrating before it was widely used, my classroom Facebook page. I think this was the first time I ventured into the next two phases of the SAMR model. I was giving children an opportunity to share their ideas and feelings on a more public stage, it allowed all children to feel successful because they could type rather than write, they feel empowered and heard and it was something engaging and different for students that were harder to motivate. 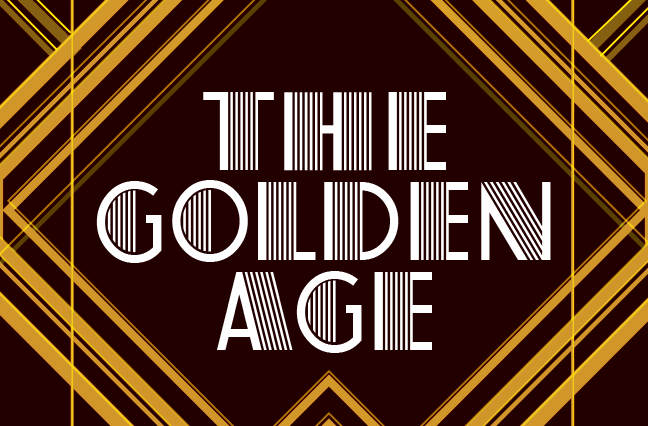 Now into the AA period – the golden age of my technological use! As you know by now if you’ve been following along, myself and Joe are creating a grade 2/3 science unit using Google Classroom as our main LMS. Within this learning system we are/will dabble into many different student interactions using a variety of tools that we’ve learned about in this course! To start, we tackled the simple student interactions that our LMS has to offer such as Google read & write! This isn’t a piece that can be evaluated or assessed, but I think it’s so important for students to feel comfortable and successful and tools such as this allow for the program to speak to you, or write what you say, allowing for students of all abilities to complete tasks throughout our unit. For me, the justification behind using these functions is clear, Google Read & Write allows for inclusion and adaptation for students that need it. It’s meaningful and extremely relevant because of the changing needs in mainstream classrooms. Funding is constantly being cut and placements for students with significant need just don’t seem to be available. The easier we can normalize abilities the easier it will be for our students to find their strengths and have the tools to navigate areas they need help. Google Classroom has lots to offer in this area as a LMS. Another great tool that Joe and I are using that offers more in the way of assessment and evaluation is Google forms. We have already used this tool twice in our unit and it worked great! The first time our students practiced this skill it was answering simple questions about themselves, the second time was answering questions about a short matter video they watched! This proved to be a wonderful opportunity to see what children can remember of the material all while allowing them to try something new and build important skills that they can use in the future. Finally, on suggestion from a classmate through the process of our feedback last week, I chose to change an assignment in my first module to include the program, EdPuzzle. I am obsessed with this student-instructor interaction because it allows for kids to have their independence doing an activity while still receiving special information and guidance plus, allowing the teacher to check in and see how they are doing on any particular assignment. I think giving students these opportunities are relevant because we are not only meeting outcomes as we are supposed to, we are encouraging children to watch content with meaning and to engage with what they are watching. We are also still being supportive and selective with content. Thanks for the suggestion and thoughtful feedback Kristina! I read my classmate Anne’s blog this week and she said, “Padlet, or comparable programs, seem like a good way to get your students discussing, even on days where they are feeling shy or quiet” and this inspired me to try one too! 🙂 I think I am going to use a Padlet or Flipgrid as a cullmination for our Matter Unit. I would like to get the kids to share the main thing they learned in a way that they feel most comfortable. Padlet would allow for students that don’t want to speak outloud and the thought is terrible, and Flipgrid for students that love having their face and voice recorded. I think both will be wonderful! Stay tuned. The results are in and I was so excited for the feedback about Joe and I’s online class so far! We did run into some snags with Regina Public School’s user agreements not allowing for email addresses outside the RPS domain to access our content, but we did get creative and found a way around it. It’s complicated – but it can’t ever be easy is what I’m finding out! It’s a neat experience to have someone evaluate your work as if they were a student…but be able to articulate what they did and didn’t like in an adult way! 🙂 I am grateful for the opportunity to make this unit better, easier to use and to learn more about the tools that were suggested to us to enhance the functionality and ease for our kiddos! I think for simplicity sake, I will go through our feedback section by section and lend a comment to each piece. I have linked our course shell HERE if you would like to look at it again for a refresher on our course content. In order to navigate this response to our feedback, please know that the section under the microscope will be bolded and all in CAPITALS, the comment or question from our reviewer will be bolded and italicized and my responses will be directly underneath in regular print. Something to consider is about how your students can show what they learned by “creating” something instead of the “input/output” of the facts, you did show them how to cut & paste on your Screencastify and maybe that is enough at this grade level.. Could you include the “design an experiment” using ice cubes, water or ?? to show a liquid or solid?? Just an idea of how to make it more hands on. This is absolutely something we considered and have already started putting into practice! One of the next modules will be an “experiment” based module where the kids are getting down and dirty with the content hands on! We are still ironing out details with regards to how this will look…but it’s in the works! I was also considering, based solely on the school I am at this year, that it might be fun to have them try a very simple experiment at home, have their family videotape it, and upload it to the classroom! Or, send it to me and I can upload it! I’m not 100% sure how many would participate as only 5 of 26 did the Matter Chatter survey at home as it was assigned, but it would be a fun assignment for those families that wanted to give it a shot! Such a great idea, thanks for the feedback. I like how you chunked it into very simple steps and very small portions as to not overwhelm your students (although I’m sure those small lessons took at least 30 mins each, haha!). Let me tell ya…everything is taking FOREVER! We do have everything broken down into step by step activities and small instructions at a time, but each step does take at least 30 minutes to do. By the time we get the computers out, remember how to login, help the students that can’t login independently, find the correct activity, run over how to complete said activity and then finally do the darn thing, we are looking at the almost the entirety on the hour that I have the computers booked for. We were commended for trying this with such a young age…and although I am so thankful we did, it’s not the most practical thing YET because I can’t have the computer carts an hour everyday and to move through the modules smoothly, you would kind of have to. to know the individual results of this to use as assessment then you need to add a question with their name as a response. IF this would only be used to judge if the class as a whole mastered the material and you can move on or need to review “assessment for instruction” purposes then you would not need individual results. So I actually laughed out loud reading this feedback because unfortunately I got it too little too late for 5 of the kiddos! My intention was to collect the data from each child and use it for assessment purposes…didn’t even consider the name question as I wasn’t fully sure how Google Classroom recorded the answers. So after I was frantically trying to find the answers that my 5 who did it at home submitted, I text Joe and found out that you have to create the document to store the answers! Joe to the rescue – he did it for me and then that’s when I realized I didn’t put the name line in! Thankfully, I was able to go back in and edit the document to add the name before my other 21 kids did the assignment! All is well that ends well. I am excited to try out “EdPuzzle” as you suggested and potentially create a little assignment for the Bill Nye Video. Thanks for being so thorough and noticing this…ugh…the learning curve. Our feedback would likely be given in both in person and through google classroom! I think verbal feedback for some of my kids this year would be much easier than online, however, that being said, I like challenge of trying something new with them and seeing how it goes. They do have some limited knowledge of Google Read & Write from the tutorial at the beginning but I think it would take a refresher to have them use it on their own! I also LOVE the idea of doing a Google Classroom “how to” at the beginning of the year, what a great suggestion. Because this is a “Science” topic I do not see the need to include cultural considerations but you could include how you would address the needs of students with EAL. I do agree with not needing cultural considerations, however, I think the need for understanding how to address students with EAL needs is an important one. I think I bypassed this topic because I actually do not have any EAL students in my class this year and therefore, when I was planning to actually do this unit with my class, I knew it wouldn’t be a required adaptation. However, in thinking about it now, I think Google Read & Write will be a great resource if utilized properly so passages can be read aloud, I think watching experiments and videos done online will help too! 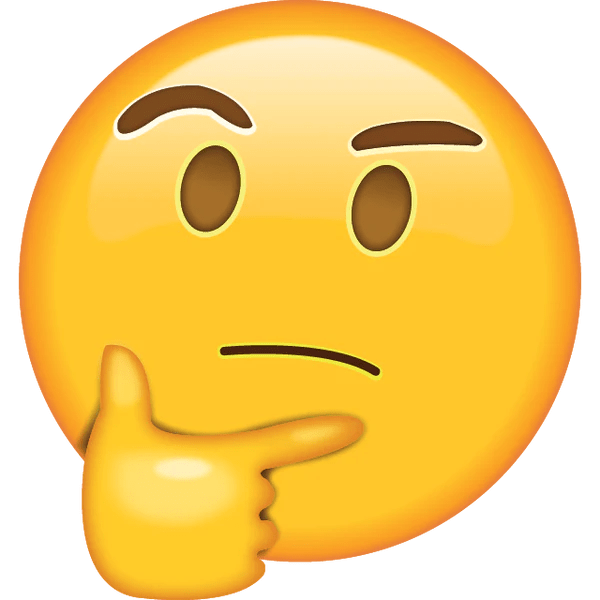 I would also consider “buddying” students up rather than giving them each a computer and therefore students with more understanding or skills in technology could be “teacher helpers”. To take your next module “to the next level” I would suggest instead of finding the song and/or video, you would create the content. Kids look up to “Youtubers” nowadays and would LOVE to see you on the screen-think about it!! This is a brilliant idea! My class loves hammin’ it up and I’m sure they would be obsessed with seeing themselves “on the big screen”. My wheels are turning on how I could potentially use this idea as a final type project where they could show what they learned using video as an outlet. Thank you so much for the idea. Thank you for the thoughtful feedback! It was a treat to dig through and gain more insight into our unit. I am grateful for the feedback on our organization and the fact that we have adapted the LMS for a younger audience. I feel really great moving forward with it and am excited to see where it goes! Thank you again SO much for taking the time to offer up the feedback and look through the content of our course. Our prompt this week seemed open ended so I have taken advantage of it and wanted to give you an update on my use of a blended learning system in my classroom…so here it is, whether you like it or not! 😉 I have successfully surpassed the first stage of this process – the immense amounts of confusion…and I’m on to phase two, slight confusion. Although I’m certain my project partner Joe, based on the number of texts I have sent him, that I am still the gentleman in the GIF below. When Alec introduced our project for this class and told us that we would be designing online curriculum, I went the same route I have in each of his classes – I racked my brain to see how I could make this the most usable and practical in my day to day teaching life. We decided on using Google Classroom for our platform as our target audience is grade 2/3 students and the other platforms seemed more suited to older learners. This is my first observation – it seems like many of the blended learning platforms are set up to accommodate older learners. This is perfectly fine on account of the fact that, as it stands, most students who are participating in blended learning or flipped classrooms are older however, in my opinion, we are going to start seeing a shift. Younger and younger students are exploring the online world and soon I think we are going to see that these same students will get huge benefit in learning online as that’s where the majority of their other interactions will be. Joe joined me for the first lesson of our online curriculum where we introduced Google Classroom, had the kids practice typing, add photos to a slideshow and trying out Google Read and Write. Overall, I was floored by how quickly the kids caught on to the basic functionality of the site, and more so, how much they enjoyed the freedom playing around with the program gave them! I have students with varying learning disabilities and they saw success because they had experience with technology and the aid of programs like Read and Write allow them to be more independent. However, like everything else, we learned quickly that there are needs of 7 and 8 year old children that are far different than those of adults and older age learners. Enough to drive a gal crazy in fact! (gif source) First – they will absolutely go ahead of your instructions and try things on their own regardless of what you say. This is a blessing and a curse because often, they know more than we give them credit for but, they miss instructions and click on things that then affect everyone else in a live document. Secondly, once they get going – they don’t stop! Joe created a slide show project where they practice taking a picture and inserting it into a slide where they type their name into a pre-made sentence. WELL…first, they didn’t really understand that the Google Classroom is live and that everyone can see what they’re doing, while they’re doing it! It’s a tough concept to grasp. Then my little monkey’s starting compulsively trying to steal each other’s slides which turned into one or a couple kiddos deleting the entire slideshow, because why not! This was a learning experience for us and gave us some ideas as to how we could better our work. When we tried this again, I had put each child’s name in a slide before hand so they just had to locate their frame rather than choosing one – this solved that problem and they were very successful. I suppose in the long run we were grateful for the mistakes because they gave us better feedback than we could have gotten anywhere else. 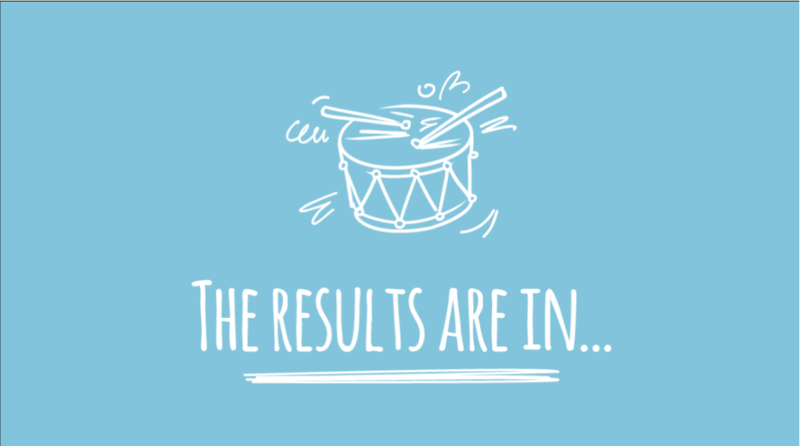 The kids have also completed a google form, accessed a Youtube video through an assignment, accessed a PLIKER’s to complete as a show what you know and finally, some students even completed home work after watching a video they watched at home with their families! The capabilities of this blended learning are style are endless! Endlessly challenging but amazing to see! I stumbled across a site when I was searching for a topic for this post that highlighted 30 high quality learning platforms and I was impressed so figured I would share to finish this post! I loved how this list gave not only the name, but a short description of the program as well. Although I haven’t had a chance to dig through all 30, I was surprised to stumble across many blended learning options for the grade I teach. Perhaps this shift is already taking place and hasn’t made it to my circle yet? I was reading Brad’s post this week and he mentioned having to step off his high horse to really consider his own teaching practices and I couldn’t agree more. Sometimes I’m so caught up in what I am doing that I forget that there are other ways to do it that are as effective and definitely more effective than what I’m up to. This list of available blended learning sites is the perfect example not to rest on your laurels – take a step out of our comfort zone and try something new. I have a couple emails into sites listed to check pricing, one is called Edmentum and it boasts, “Adaptive assessments paired with powerful learning paths for K-8 reading, language arts, and math”. I was drawn to this one because it seemed to focus on core subject matter and it was a good grade range. The next site is FuelEducation which advertises, “Innovative digital curriculum, technology, instruction, and support enabling you to create a learning environment that is just right for your students” which caught my eye because it sounded very customizable which makes offering your students a personal learning experience much easier. I don’t have pricing information yet, but I am curious to see what comes back! Usually price is a deterrent for me – not an excuse necessarily, but something that makes the blended learning model more challenging. 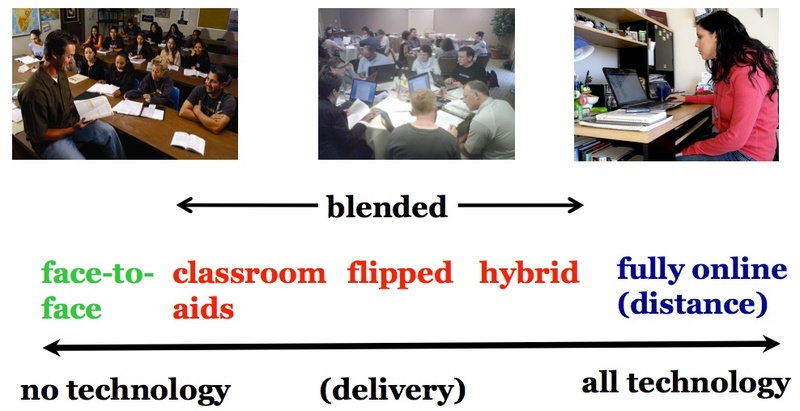 What holds up do you have with the blended learning model? Have a success story or an epic fail you want to share? I would love to hear it! Little Bird Tales – The Good, The Bad and the Ugly…JK, it’s pretty great! what is my underlying epistemological position about knowledge and teaching? what are the desired learning outcomes from the teaching? what teaching methods will be employed to facilitate the learning outcomes? what are the unique educational characteristics of each medium/technology, and how well do these match the learning and teaching requirements? DO NOT USE TECHNOLOGY FOR THE SAKE OF TECHNOLOGY! UGH! Although technology can often enhance a child’s learning experience, if consideration is not given to why we are using the device or program I don’t think it should be used. In the SAMR model it shows how shallow substitution can be for our kids. If we can’t use technology to allow students to explore and extend their knowledge, get to the transformation stage, it might not be as worth it as some people think. As it says in the reading, you MUST consider the learning outcome you are trying to accomplish and match the resource to that – consider before you begin what teaching methods you are wishing to use and how each will impact the next. Are you doing a blended approach? Strictly online? Leaving technology out completely? These questions need to be addressed before you begin so that a deep understanding of the how the technology will/could be used to benefit the learning outcome can be achieved. Finally, there is a definite need, in particular in this economic climate, to ensure that you are planning lessons around what resources are available – realistically to you in your school or classroom. Pick something that will enhance and transform your students learning experience but be available in a useful way to your kids…don’t plan a lesson on Little Bird Tales with the intention of having everyone designing at once when you have 2 computers and a tiny space to work in where they can’t raise their voice to speak into the microphone. Lots to consider! If I still have your attention, check out what I think about incorporating Little Bird Tales into my classroom – spoiler alert – I think it will be a must try in my classroom! 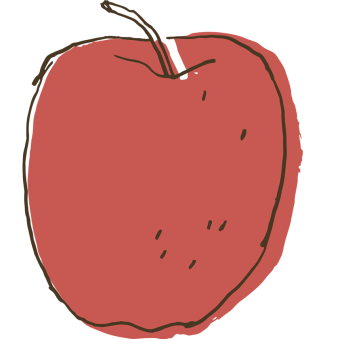 Little Bird Tales is an online platform where students can go to record, write and illustrate an online book! It allows primary students to take part in story writing whether they can print or not on account of the fact that they can either type text or simply add photos and record their speech! 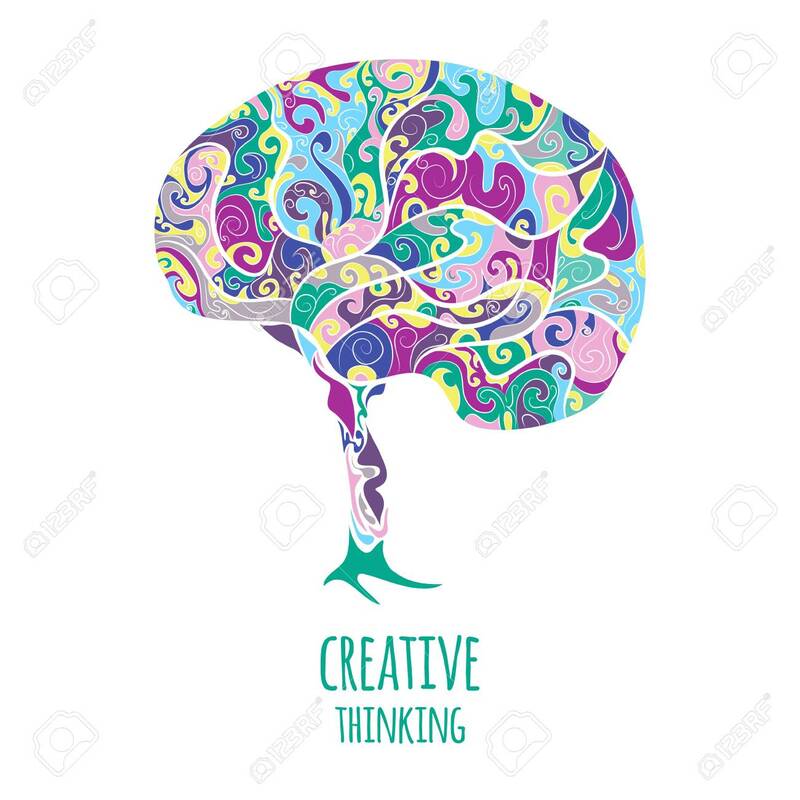 It is also a site that teachers can access for free cross-curricular lesson plans as well as a gallery of student created books on many topics that can be used for information or examples for their class. Little Bird Tales is a free site for teachers and students although there is a premium teacher membership for $24.99 annually which gets you extra features and capabilities as well as a paid parent platform for content transfer at the end of the school year. I only tried the free version and was really impressed with options and functionality for kids of all ages and abilities. Logging in is easy for kids as they have a classroom code – for kiddos of the age I teach having easy access is crucial! 🙂 It’s the small things. There were lots of things I loved about this website. The first one is the cross-curricular lesson plans that are offered to teachers on the site. You can search any topic and lesson ideas pop using the program to have kids participate! Plus you can assign these lessons to your students so they come up when they login! Most of these features are only available with the paid program but I still like the idea. There is a section called “Public Tales” that you can search through by topic! The coolest part is that these are all videos kids have done so they can see what their stories might look like! I love the easy to use layout – you can upload or draw a cover or book art and everything is clean and easy to navigate. I appreciate easy to use sites as I often don’t have the time to read through pages and pages of directions to work with a program that might not be an everyday user. Finally, the last thing I would like to highlight in the love department, is that you can share the tale with someone through email! This is a wonderful feature if you would like your kids to email you their assignment, or they could email it to a friend or family member. Because my little ones are quite young, I am not sure I would have them emailing anything out, but I would be happy to send it for them, or post anything available to our classroom Facebook page. There are embed codes with each video for easy uploads and the opportunity to purchase the MP4 for an easy share. Although this was in the love department, I wasn’t crazy that you have to purchase the story, even if it’s only .99, if you want an MP4 version that can be played on any device. I don’t really see the point of offering this because under most circumstances I would think teachers would be fine with the other free options…however, downloads are free with the premium account. The push to purchase the premium account is real! There are SO many extra features on the premium account – not that I don’t understand having to pay for higher functions on programs but there is an insane divide on this site. Honestly, in some respects, it’s almost so much so that you can’t properly try the functions of the program as is. Another thing I noticed when trying to record is that it is a little quiet. Even with my computer volume and the program volume turned all the way up. When working with young kids, I am sure there would be some struggle getting kids to speak loudly enough to be heard. It is also quiet on the playback. Again, this also cropped up as a positive – but the lesson plans in some areas are very vague and harder to navigate. I’m not certain what functionality is available on the paid site, but there are definitely issues with the free lessons as some are sparse and incomplete feeling. Overall, I like this site! It certainly has its issues but I think it’s basic functions are really cool and will be wonderful addition to my classroom! Many of my students this year have needs that prevent them from reading and writing in a typical way and this will be a way they can feel successful and be able to create the same way as other kids. I am looking forward to trying Little Bird Tales next week and exploring more of its functions. My classmate turned friend (but still classmate) Joe and I have decided to join forces and create our Blended Learning Unit together! We have chosen to tackle both teaching a slightly needy grade 2/3 class to use Google Classroom and then complete their Solids and Liquids Unit using the blended learning approach! Crazy??? Maybe. But we’re excited to give it a go! Interested in following along on this journey? Here’s the beginning – the skeleton of what will eventually be our unit! Just click below…you know you want to. You didn’t have a home computer until when??? Image source looking for ways to integrate technology because my kiddos learn better and appear to absorb more when I find a video, search an internet site or offer a game to review instead of the regular pen and paper approach…which I still think is important too by the way! 😉 They love being hands on with the computers or ipads and it is second nature to have the world in the palms of their hands. Throughout my classroom experience I utilize many ways to allow technology to enhance my teaching and the learning experience of my students. I use programs such as Brainpop Jr., Plikers, Youtube, and Facebook to ensure my students are getting the most out of their day in a way that is relevant to them. I love Brainpop Jr. for their simple explanations, videos and for the quizzes they provide both for print and online. I use Pliker’s as an awesome way to review material or retell using technology – the kids love the hands on way to answer questions and they like to see if their answers are correct in almost real time. I love the life that Youtube videos or demonstrations filmed and put on Youtube bring to my classroom! The kids love being able to take in information in such a visual way and there is SO much content at the tips of your fingers. Finally, for the past 5 years in my classroom I have been utilizing Facebook as a tool to share my day with families and strengthen the home/school connection. My kids have also done “facebook takeovers” where they are in charge of the pictures and content for the day, making them responsible and more literate members of the online world. These, in my opinion, are all ways of using the blending learning route without offering full online content. The challenges I faced have mostly had to do with the fact that parents are still trying to wrap their heads around technology being used in the classroom as a learning tool. There are parents that feel very strongly that screen time is screen time and that it needs to be limited if we want our children to be learning in school – I don’t agree with this as I feel like, if screen time is used to enhance and enrich learning with proper supervision, it is setting students up for success in the new world in which they are growing up in. Being digitally literate is SO important and it is our responsibility, in conjunction with famili es to ensure our children and students are being equipped with the knowledge to make good choices online. Located on the media smarts site I have linked above, this graphic outlines the importance of educating our children in many facets of the online world and I think you need these foundations built before a fully blended learning environment can be its most effective. I suppose I would want to direct families to sites like Media Smarts so they can have a better understanding of why this “screen time” isn’t just “for the sake of having the computers out” and that there are reasons and goals during blended learning time just like any other subject. Blending learning is just a framework to support the learning in every subject at school! I loved the graphic to the right as I think it really puts into check the difference between the 3 styles of learning that are featured in the reading. I think, as we have spoken about in many classes with Alec before, there is no point in ignoring technology as it’s not going anywhere so we midaswell teach kids how to not only be safe and healthy online, but how to use the resources to benefit them. I truly believe that the blended approach in this day and age is the way to go to reach as many learners as we can both in the moment as well as to be able to set them up for success as they venture out into the world. We need to be realistic about the kids we work with and the world in which they will be growing up. Keeping them away from the technology in school in my opinion, is just as dangerous as letting them use it – with training and supervision of course! Image source So what about my own learning experience??? As far as my own blended learning – I feel like it has completely changed my mindset and opened my eyes to so many resources that I have actually used in my classroom. Many are mentioned above! 🙂 I have been thankful for the set up of my blended learning experience, I don’t know if I would like the idea of “fully online learning” but appreciate the mix of an online learning experience mixed with the opportunity for “face-to-face” contact. I have to admit, much like my friend and classmate Joe, I had a more skeptical approach to anything online before Alec’s classes as I wasn’t sure what to expect. I had, had a bad experience in an online class where I was left feeling abandoned and stressed, potentially to much of a swing right in the continuum for me? In Alec’s blended learning environment I felt I wasn’t alone and that my classmates were creating an environment that felt homey, supportive, creative and safe. I want to make sure that I leave my own students feeling more like the latter! I loved this chart that I stumbled across on Nataly’s blog post this week that does a nice job summarizing the issues with blended learning. Although I have had a mostly positive experience, there are many downfalls that need to be addressed before blended learning can be considered a viable option for education for all. I think we need to be extremely mindful of what we were asking from our students until we can establish that they have access to all of the tools they need to be success in a blended learning environment. I am not talking about drive, motivation, etc. but the literal technology and physical accessibility to make the potential for learning possible. Overall, I am huge proponent of blended learning both in my professional career and my career as a student! I love the flexibility, differentiation, and creativity it has awarded me throughout my schooling. I am looking forward to offering these experiences to others as I continue my career as a teacher.